Turnout Lockers are an open front design to allow emergency response crews to access their gear instantaneously. 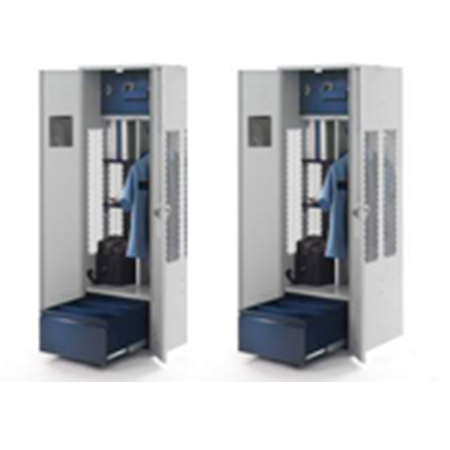 Turnout lockers can be designed for specific needs of emergency crews and to accommodate uniforms, protective head gear, and accessories while still having lockable compartments for valuables. Turn out lockers can be configured with a top shelf, heavy duty coat rod and hooks, and lower drawer to store bulky items. Turnout lockers are available in Knock Down (Bolt together) or All Welded. The lockers are available in many different sizes and configurations.